I replaced the screen and digitizer on the phone and everything worked after i put it back together like the wifi and screen was good but it doesnt detect the sim card anymore. What are possible reasons for this happening and how can i fix it? I have this same problem, but now that I've attached the new digitizer assembly I don't think I can remove it. Did you find a solution? As a first step, you may need to re-seat the connector cable of the SIM tray to the board. If your are not sure which one it is, take the phone apart, examine every cable/connector on the board and/or just re-seat them all. If you know which one it is, try also cleaning that connector with a cotton swab and 90%+ isopropyl alcohol (rubbing alcohol). If the phone works with a different SIM (or as a precautionary step), clean the contact points of your original SIM card with an eraser or isopropyl alcohol. May be it collected something from your fingers during disassembly. I had the same problem as you after replacing the screen and digitizer. 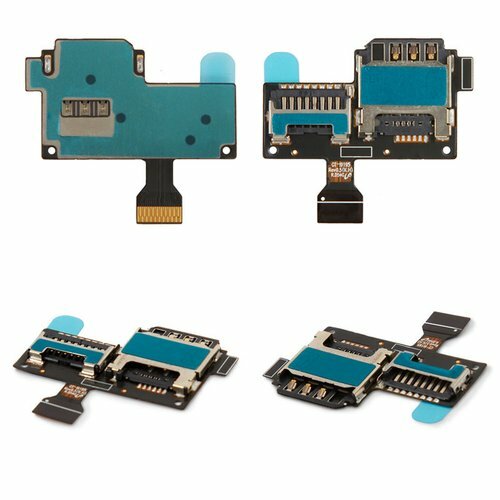 I took the phone apart again and did notice that the connector cable of the SIM card tray was loose as suggested in the previous answer. I had to slide it into/under the place it should connect to, in the photo below the small red box shows how the tray should connect, the tab of mine was out and I had to slide it under the brown thing, hope this helps! mitchell will be eternally grateful.